Office Location: Room 230 - 70 Brown St.
John Cayley has practiced as a poet, translator, publisher, and bookdealer, and all these activities have been influenced by his training in Chinese language and culture. Details of his internationally recognized writing in networked and programmable media may be found on his personal website http://programmatology.shadoof.net. Cayley published Ink Bamboo, a book of poems, translations and adaptations with Agenda Editions, London, in 1996 but afterwards worked chiefly in digital media, winning, in 2001, the Electronic Literature Organization's inaugural Award for Poetry (see http://eliterature.org). In 2015 Cayley published a book bringing together original 'supply' texts and works composed from generated poetic language, Image Generation (London, Veer). Before coming to Brown in 2007, Cayley taught at a number of universities in the United Kingdom, and was an Honorary Research Associate in the Department of English, Royal Holloway College, University of London. In the United States, he has taught or directed research at the University of California San Diego and as a visitor to Brown in 2003 and 2005. Recent work has investigated ambient poetics in programmable media and writing for immersive stereo 3D audiovisual environments (the 'Cave' and now also the 'YURT'). A major ongoing collaboration with Daniel C. Howe (http://thereadersproject.org) explores aestheticized vectors of reading and 'writing to be found' within and against the services of Big Data and Big Software. In future work he aims to compose for a readership that is as much aural as visual. 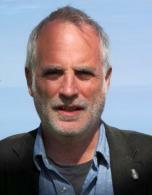 Cayley is also well known as a theorist in the field of digital literary practice and links to his critical writing can be followed from his website.